One Eternal Day: "This is the Sabbath, and how will we spend it?" Nearly 175 years ago, on November 12th 1840, the Milton Seventh Day Baptist Church was officially organized. Two days later, the first Sabbath under this church occurred. This was not, however, the first Sabbath to be kept in Milton. That occurred more than a year and a half previously on March 9th, 1839. The story behind this Sabbath is one of the determination, sacrifice and faith of an entire family, and one woman in particular. 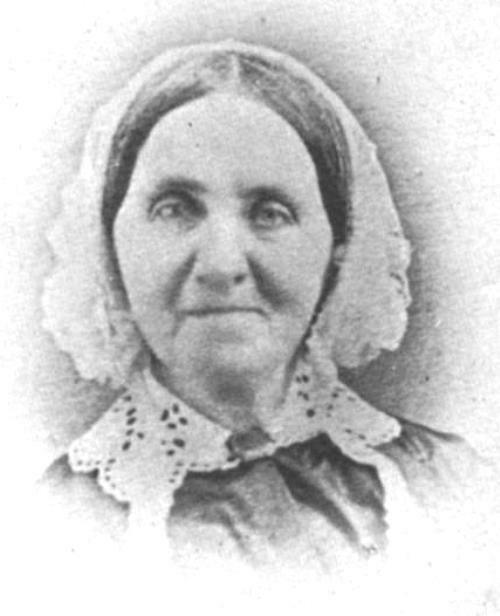 The lead-up to the first Sabbath in Milton began in early 1838 when Joseph Goodrich, the founder of Milton, decided to emigrate from New York to Wisconsin with his wife Nancy and his two children. After scouting the Wisconsin Territory with two friends, purchasing his new land and building a house for his family, Joseph returned to New York to sell his remaining assets there and bring his family to their new home. If all went as planned, they would arrive in Wisconsin before winter began. But, as with many things in life, all did not go according to plan. It was January 29th, 1839 before his family and 8 others left for Wisconsin. They travelled on sleighs due to the wintery conditions and the journey was not easy on any of them. Joseph's wife Nancy had it particularity harsh, however. The very first day on the trail, the wagon carrying Nancy turned over and Nancy broke her collarbone. The others in the party encouraged Nancy to stay in New York and heal, but Nancy was adamant that she would not be separated from her family. And though her collarbone had to be set and reset three times over the course of the journey and every bounce and jostle of the wagon was sure to be agony, she "endured the pain without a murmur," according to her daughter Jane. On Monday March 4th, 34 days later, the wagon party arrived at the red-frame building Joseph had constructed the year before. There were 13 people in all crowded into a small cabin in the tail-end of a hard Wisconsin winter. Five days later, with the thermometer reading about zero, Joseph and the other men of the party were greatly concerned with the work that needed doing on an early frontier settlement, especially in the face of a fast-approaching spring. The still-healing Nancy Goodrich, however, had only the Sabbath on her mind. After breakfast, she could hold her tongue on the subject no longer and said "This is the Sabbath, and how will we spend it?" to which another member of the household replied "It is an important question." After his wife's prompting, Joseph decided to call upon Bro. Henry B. Crandall and his family of seven, their closest neighbors and their only fellow Seventh Day Baptists in the entire Wisconsin Territory. After gathering together under the Goodrich roof, the first Sabbath gathering in Milton took place, consisting of signing a written agreement to "watch over each other for good, maintain good morals and attend meetings on the Sabbath when prudent," followed by a Bible class in which all joined. Since that Saturday in 1839, more than 9100 Sabbaths have been kept in Milton. And there's no reason to think that that number will stop any time soon.